Kacey Musgraves is a Grammy Award-winning American singer and songwriter. 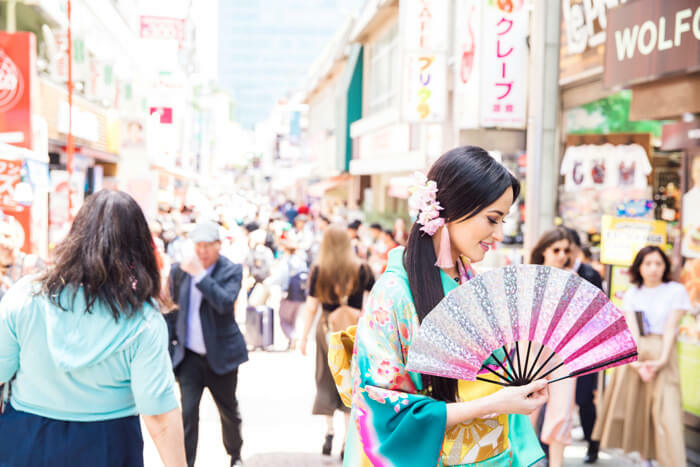 In preparation for her highly-anticipated Japanese debut, the country music star took a trip to Japan. 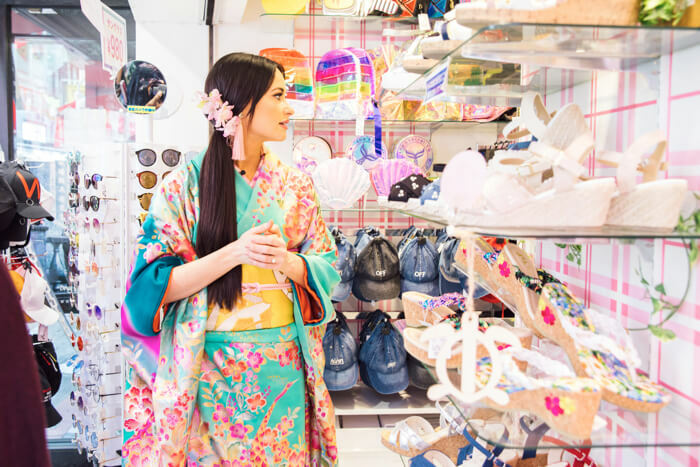 A self-described lover of Japan, the artist took to the country’s hub of pop culture―Harajuku―and strolled around its endless list of hot spots. 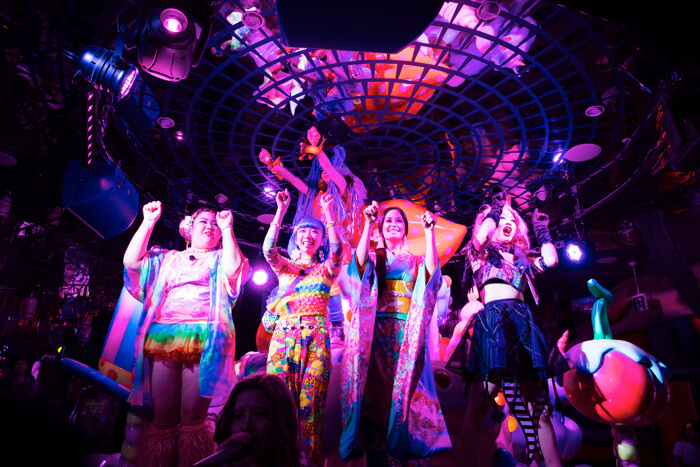 We trailed behind to document her ingenuous experience of Japan’s center of youth culture. 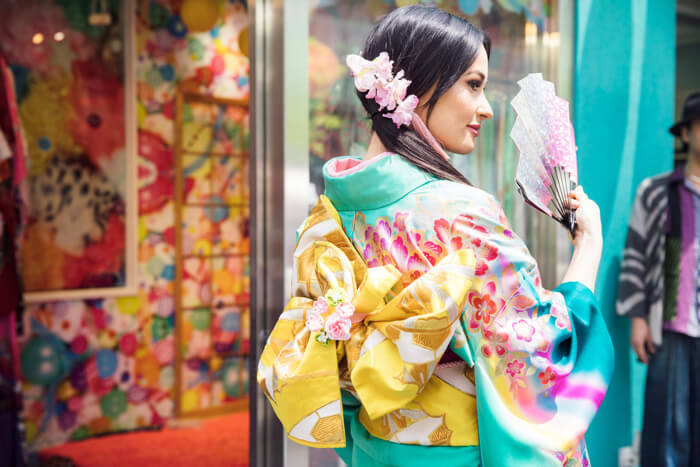 The American star stood before the colorful kimono spoiled for choice on which to pick out. 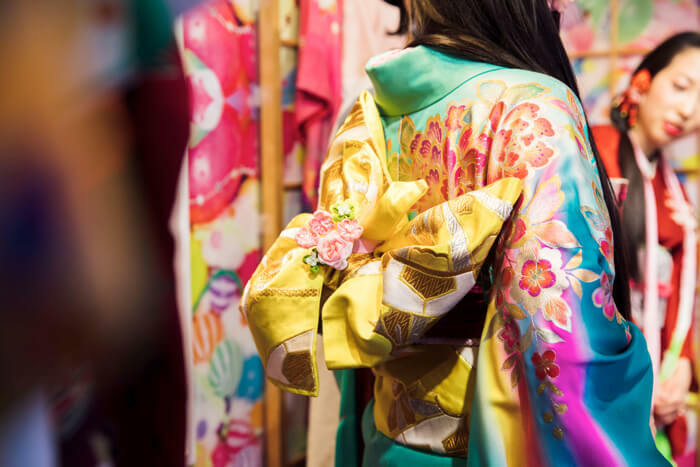 The kimono on display are abundant in different design designs, including material shimmering with glitter. 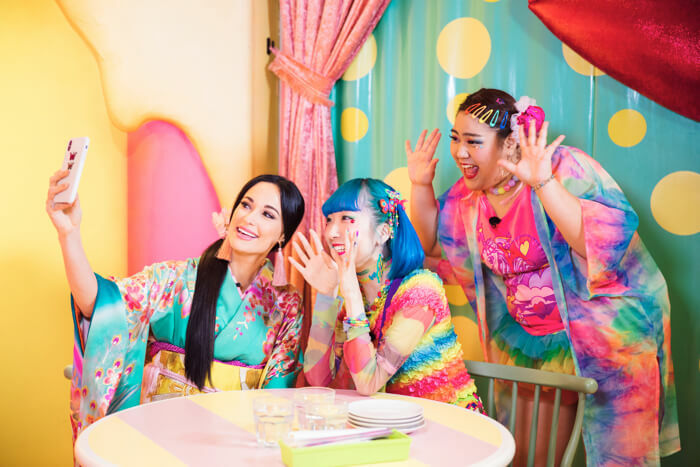 They’re perfect for the colorful town of Harajuku! Kacey reached for a vibrant green kimono with tree peonies and peafowls on it. 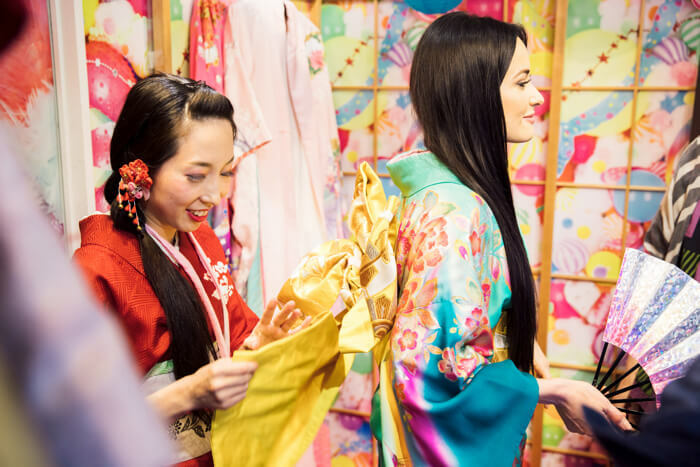 She looks just like a doll as she gets her kimono fitted. The obi belt she opted for is seriously eye-catching! The obi’s silhouette is made to look like bunny ears. This way of tying is an original method by the store staff. She looks perfect from behind too. She looks like a real princess! She’s now off to Takeshita Street while looking up at her folding fan. Takeshita Street is bustling with people shopping and looking for the latest fashion items. There’s a lot of foreign tourists there too. 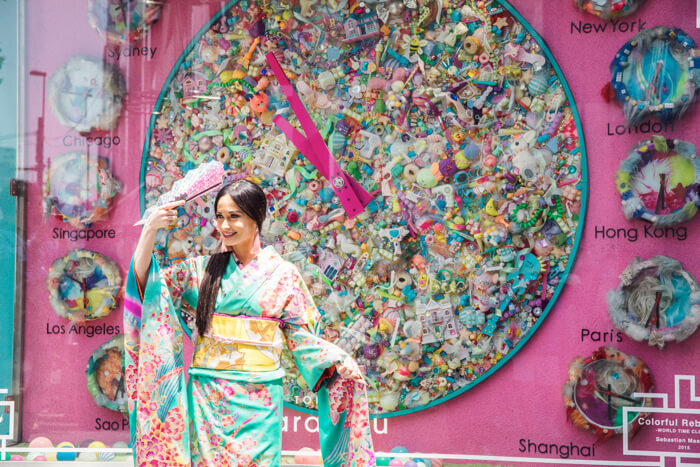 “America is very neutral with its clothing, but Japan is very colourful. I really like that freedom,” said Kacey. In that case, she absolutely has to see the giant cotton candy you can get at TOTTI CANDY FACTORY. It wouldn’t be an exaggeration to call TOTTI CANDY FACTORY the hottest spot for sweets in Harajuku. It enjoys a countless number of customers every single day. 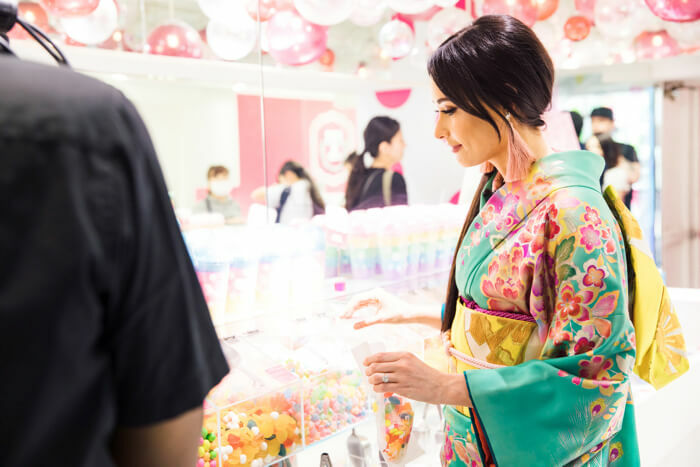 The shop’s interior can be called a candy dream world, packed to the brim with colorful treats. Kacey made up her own bag of candy from the clear cases which are overflowing with candies, gummies and much more. How many Kacey faces would it take to fill the size of one of these? This light rainbow coloured cotton candy was a dream to eat. Next on the list was a bit of window shopping. From one end of the street to the other the fun never stops at Takeshita Street, lined with clothing stores and general good stories which Kacey perused with great interest. 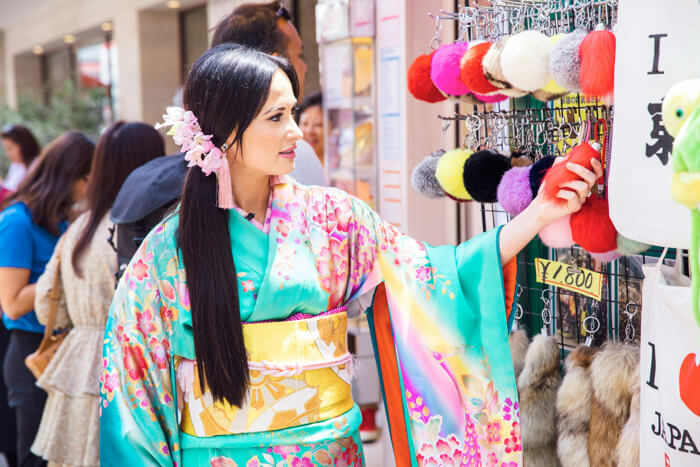 At this point, Kacey is all about Takeshita Street and everything it has to offer. To finish up, she takes a commemorative photo at the street’s entrance. Now to hurry along to THAT restaurant, where all the monsters come out! 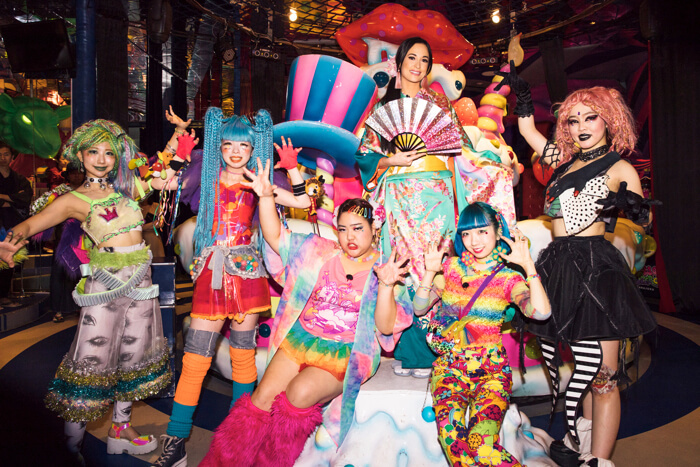 You guessed it, the KAWAII MONSTER CAFÉ Harajuku. Acting as navigators in the café were Ooyama Mio and MIOCHIN who are popular for their creative fashion sense. 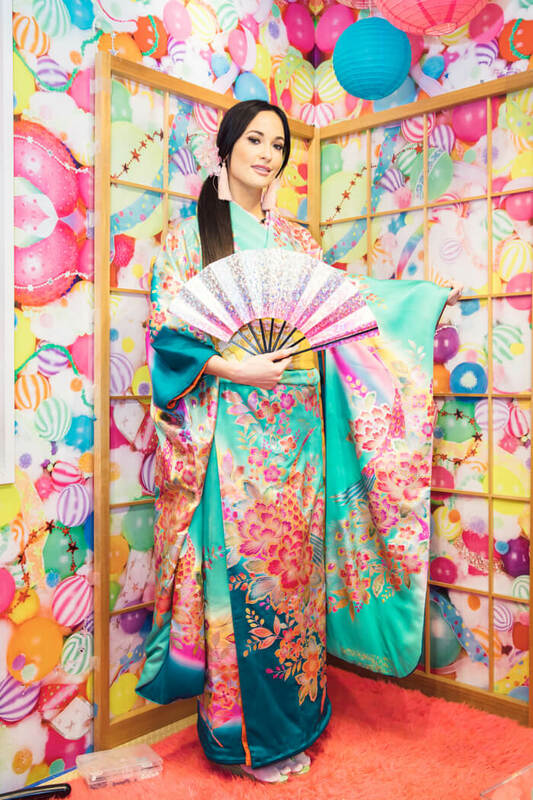 They leave an impact lined up next to a Kimono-donned Kacey and the café’s kitsch design. The three of them hit it off and started taking selfies! After that they had a girl’s chat! 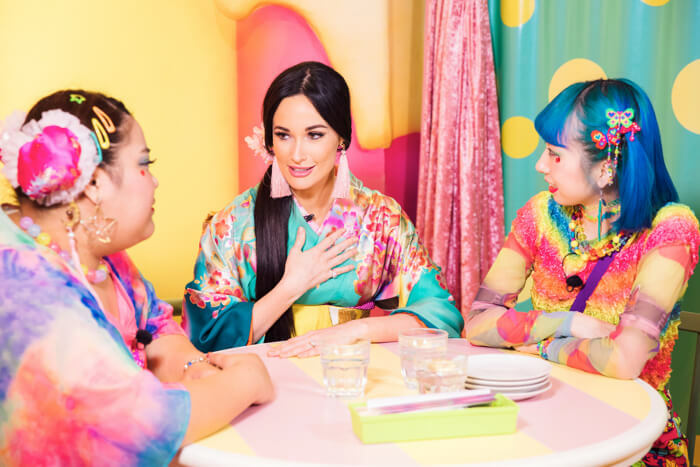 They talked openly about their mutual fashion interests and Kacey’s impression of Japan. Of course, she enjoyed the photogenic food too, with both her tongue and her eyes. The table was filled with food straight out of Wonderland, like the rainbow coloured pasta (¥1,300) and makizushi (¥1,150). We lost count of how many photos the three of them took together! 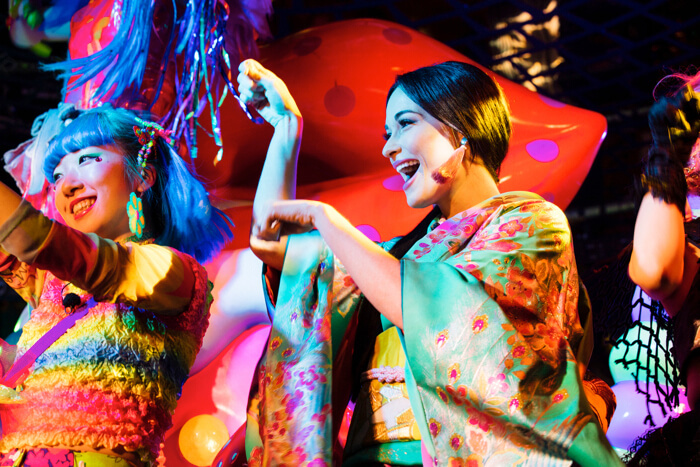 The last thing to do at the café now was experiencing the show which takes place at the central ‘Sweets Go Round,’ a symbol of the café. They were invited up by the monsters and dance to the music! 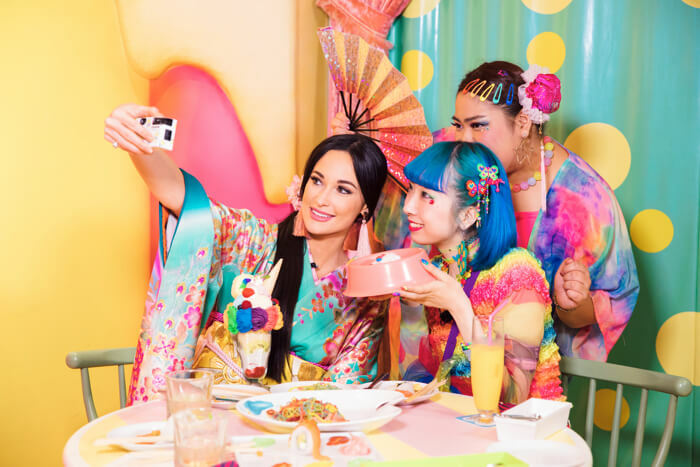 Kacey was completely enveloped in Harajuku culture. The final photo of the day! 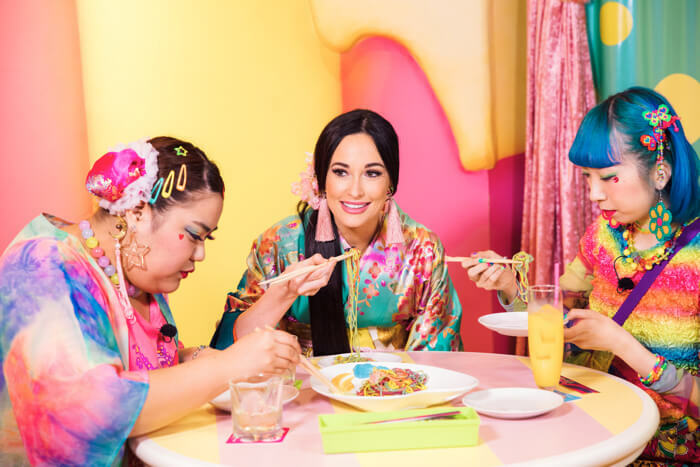 Kacey’s love for Japan increased during her time here. She will return in July to perform at Fuji Rock Festival. Be sure to stay up to date to see her Japan debut and what she has planned for afterwards.